Summer is right around the corner! This means you will need to prepare your heating system for the dormancy it will experience in the warmer months. We came across this article by Bell Performance with preparation tips on summerizing your system! 1. Have Your System Cleaned Of Soot And Scale. You may need to have this done professionally, depending on how dirty the system is. It is typically recommended to have a professional cleaning at least on a semi-regular basis. Build-up of soot and scale deposits are the primary causes of system inefficiency, which means money out of your pocket. Soot and scale will interfere with the efficiency of the system later on in the year. Soot also contains sulfur, and if this is allowed to sit over the spring and summer months, the sulfur will react with water in the system to form acid, which will eat away at metal surfaces and cause costly corrosion damage. So have your system cleaned, whether professionally and by vacuuming out as much of the soot and scale as you can. This includes coils and filters, as well as reflecting plates. Proper airflow is essentially to efficient operation of the system. 3. 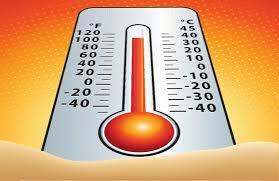 Fill Your Heating Oil Tank As The Weather Gets Hotter. Fuel oil prices tend to be lower during this low-demand time and it will save you money. 4. Use A Multi-Purpose Heating Oil Additive Like ATX-942, Added To Your Fuel Oil. Adding a quart of ATX-942 for every 480 gallons of fuel oil in the tank can make a big difference later on. Continued treatment with ATX-942 will also reduce the soot and scale buildup during the heavier use season, making the system more efficient and future cleaning easier and simpler. If you use your oil system for hot water all year round, it is recommended to repeat the cleaning process again later in the summer. This will further prepare it for the heavier use it will experience in the cold weather months.